Love where you live - 52 almost painless good things your community could do in 2019…..
Acas Learning Online offer free online learning modules to managers, supervisors and anyone responsible for improving business or operational performance to better manage recruitment and employment issues. The Norfolk’s Safeguarding Adults Board (NSAB) have published their Strategic Plan for 2018-21 and its supporting Business Plan for 2018-19. A community enterprise is a sustainable business that meets a need in a community by relying on people buying what you’re selling – whether that’s products or services. The things you sell, or the activities required of you, to create your products and services, or both, will help you meet that need. Are you on Facebook? 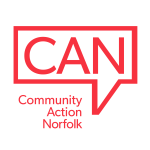 Community Action Norfolk needs you! If you are on Facebook, we need your help! Resources from The King's Fund's Social Prescribing Event. Beauty in my Backyard (BIMBY) is a toolkit that provides communities with an easy process to bring together the appropriate people, when developing a Neighbourhood Plan. Inspiring Impact has shared “Measuring Up!” their tool to help organisations review and improve how they demonstrate their impact.